A week becoming very prolific for you if you put your mind to get some more contacts in your life, to call the right people on the phone... You need to interact. You hope you will make more money than usually. Wonderful week if you are in the trade field! You will be persuasive thanks to Mercury: you will devote more time to trade business because it's the right time (and if the economic situation is good). There are times life is just beautiful. Thanks to Jupiter in harmony with your sign, everything is so much easier and joyful. This is the good life! 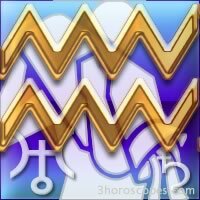 Aquarius : do you know your zodiac sign ? Do you know your planet Uranus ? What's my true sign and astrological decan ? I want more astrological forecasts !